WARNING: major spoilers for Solo: A Star Wars Story! Solo has no shortage of characters who deserve thinkpieces. 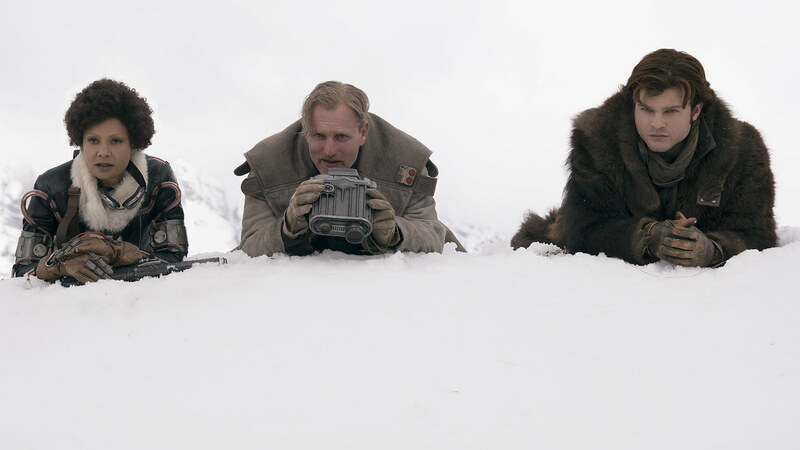 Qi'ra, Chewbacca, L3-37, and Enfys Nest each deliver new and unique perspectives of social inequality and imperialism in Star Wars. But first, we need to talk about one of the film's smaller characters: Thandie Newton's Val. Val is introduced as Beckett's deadly, no-nonsense partner and girlfriend (if not wife) who is uneasy about Han and Chewie joining their crew. During the Conveyex heist, she grapples onto the bridge to place charges. When the train approaches and she's pinned down by viper droids, she chooses to detonate the explosives, blowing herself up in the process. Objectively, it makes little sense to introduce a cool character like this and then kill them off in such a dumb way. Val's abrupt suicide isn't even a sacrifice to save the man she loves; it's just to help them complete their mission and collect a paycheck. The entire cargo is lost anyway just a few moments later, so unlike the protagonists in Rogue One, her death is totally in vain. The term "fridging" is used to describe when female characters are killed off just for the anguish of men. But Val's death seems almost worse than that; she doesn't know Han well enough for her loss to mean anything to him, and Beckett mourns her for only a couple of scenes before forgetting about her. It's also a huge disservice to Newton, who's been acting for almost 30 years but has been earning critical acclaim – including Emmy and Golden Globe nominations – for her performance on Westworld. Her character Maeve shares Val's cynicism and take-charge attitude, but also has a deep emotional arc about rebellion, self-discovery, and love (each played brilliantly by Newton) that makes her one of the most compelling and empowered faces on TV right now. Poor writing and wasted talent like this should always be called out and criticized, but when it's someone like Val, it crosses the line to problematic content. Because Val is the first visible Black woman with a "prominent" role in a Star Wars movie. Including her in the story is a big step for representation (albeit one that should have been taken decades ago), but killing her off almost negates that. 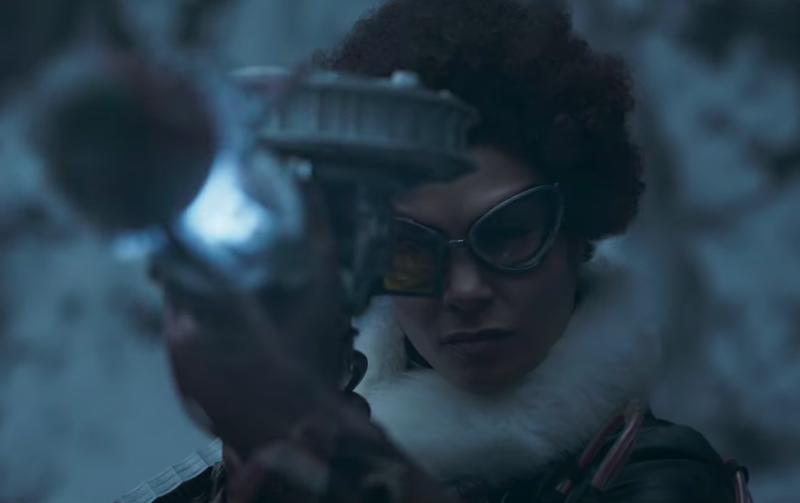 Val has been important to fans since she first appeared in the teaser trailer. 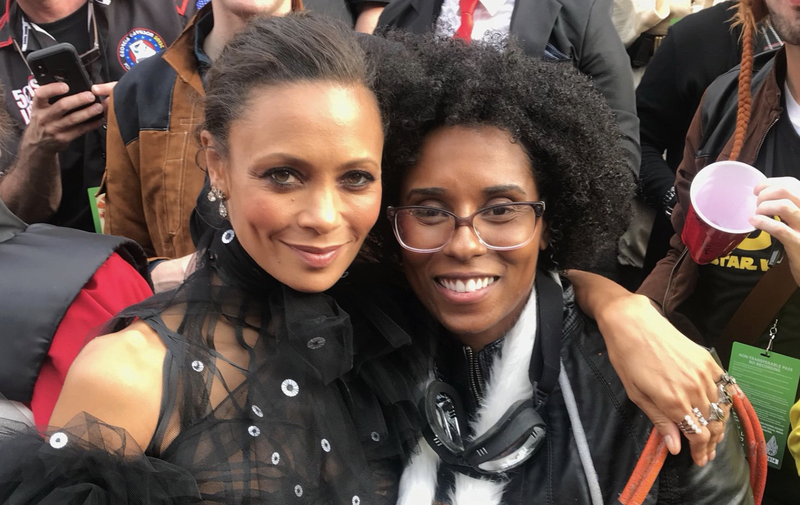 Cosplayer Elicia Duncan created a Val costume to wear to the premiere based on the single still of her that had been released, and was rewarded when Newton herself took a photo with her. It's safe to say what drew Duncan to the character was that for the first time, she could see a woman in Star Wars whose skin color and hair were similar to her own. And even after audiences saw Solo and realized just how irrelevant Val is to the plot, her importance has not dwindled. Sandra Choute explained on Twitter that in Val, she recognizes the selflessness, confidence, and strength shared by herself and other Black women. She acknowledges that Val was wasted, but she's still her favorite character. Indeed, Val is actually written and designed pretty well up until her death. She normalizes the idea of Black women being fearless, professional, and formidable, but also compassionate at times. Her two outfits are a unisex mudtrooper disguise and a stylish-but-practical leather jacket with a fur scarf. Her afro highlights her Blackness and provides important representation for what natural Black hair looks like. Val's relationship with Beckett is healthy and progressive, too. He may be the leader of their crew, but he trusts her, values her skills, and works with her to reach a shared goal. And as Newton and Woody Harrelson explained in an interview, their characters subvert typical husband/wife gender norms; Beckett is the nurturing one who is quick to trust Han, while Val is skeptical and more interested in completing the job as efficiently as possible. Not to mention that their relationship is an interracial one—a fact that is treated as utterly normal. In fact, never does anyone treat Val differently because of the color of her skin, much less her gender. The way that she's able to confidently pose as a stormtrooper – a classic Star Wars disguise – with her face and hair visible, without any of the real Imperials doubting her or regarding her as an "other," is part of what makes her so impactful. This is where we have to be really careful, because it's easy to say, "what's the problem?" They cast a talented, underrated actress in a role that visibly represents Black women for the first time in Star Wars, demonstrates what a modern marriage looks like, and empowers women in general—so what do we have to complain about? The issue is that when you take a character like Val and kill her off in such a dumb way, you're diminishing the representation she initially provides. For impressionable little Black girls who have so far failed to see people like them in Star Wars, you risk sending the message that their lives don't matter, that their heroic sacrifices will fail to make an impact on other characters or the plot, and then yet another white woman with brown hair will take center stage. Imagine if Val had a larger role in the story, if she had taken Beckett's place as Han's mentor. Her arc would have been about her gradually warming to Han (maybe even becoming something of a surrogate mother) but still ultimately deciding to betray him—the kind of story we so rarely see from a female character. It would still end with him lethally shooting her, but at least she'd get some solid character development first. There could actually be a logistical reason for Val's early demise: we know Westworld Season 2 was filming around the same time as Solo's reshoots, and in an interview with Collider, Newton and Harrelson described how the Conveyex sequence was changed by the reshoots, meaning Val might have survived the original version of it. But that still makes it Lucasfilm's fault for screwing up the production of the movie and hinging all of their Black female representation on one actress in the first place. Fortunately, Val's part in the Star Wars canon is far from over. The cover for Beckett's one-shot comic coming in August confirms that (no surprise) she'll have a role in the story. With other comics, novels, games, prequels, spinoffs, and Forces of Destiny, there are many opportunities for her to return in the future, maybe even with Newton reprising the role herself. 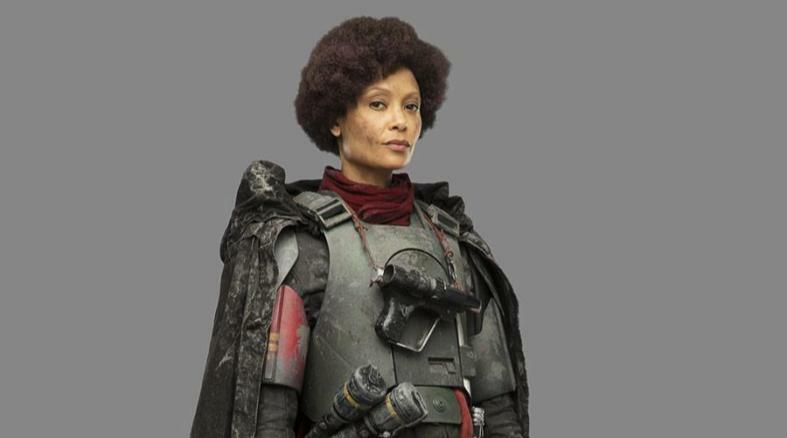 And Val is already setting a precedent for Black women in Star Wars. Episode IX is reportedly casting a new charismatic and strong-willed female leader, with a preference for African American actresses (as well as, presumably, Black women from other parts of the world). Though they could still end up copping out and casting a white actress instead (like what they did with the casting of Qi'ra), at least this kind of representation seems to be on Lucasfilm's mind. So there's still hope for more empowered Black women in Star Wars' near future. And we can always tune into Westworld to see Newton in a kickass sci-fi lead role that actually utilizes her full talent and consistently does her character justice. But Val? She's pretty damn cool, too. 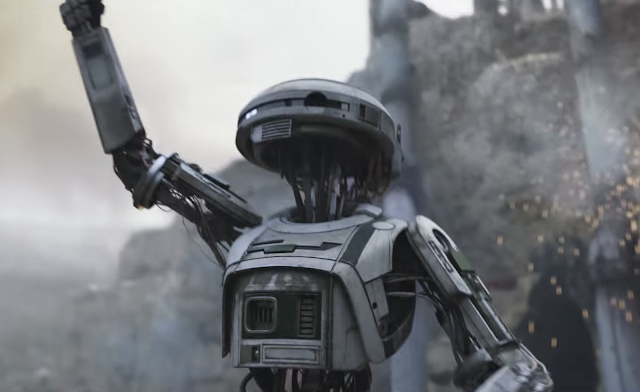 Unlike the writers of Solo or the characters themselves, let's try not to forget about her anytime soon. Put Val in Forces of Destiny. #SWRepMatters on Twitter, an ongoing movement in which fans appreciate the representation of minorities in Star Wars (on both sides of the camera) and advocate for more change. Vogue's interview with Newton about the origins of her Cannes dress and how representation matters to her personally. The Daily Dot's spot-on article about why Val's death was a mistake. Nerdist's article about how Solo mistreated its women in general, and how Lucasfilm can prevent this from happening in the future. 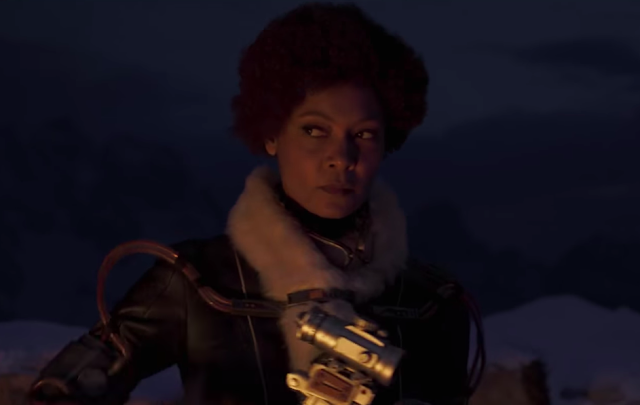 A post I wrote last November about Taris, a canonical Star Wars planet where Black women are in charge, and the overall representation of women of color in Star Wars. Syfy Wire's article about the history of Black women in Star Wars, written on Star Wars Day last month. "How 'Star Wars' forgot about black women" by Just Add Color in November 2016. A sketch from Donald Glover's Saturday Night Live hosting gig last month that brilliantly used satire to point out the absence of Black people in Star Wars. 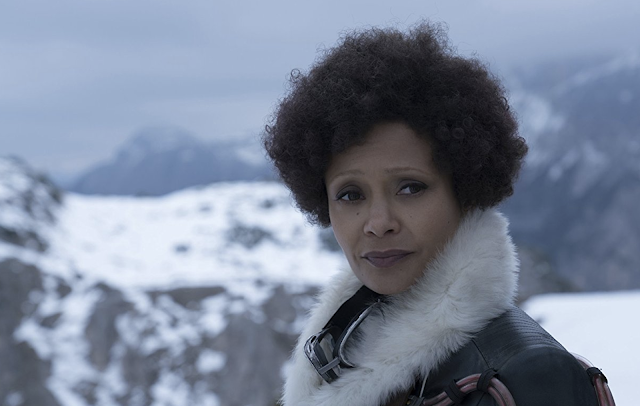 What would you have liked to have seen from Val in Solo? Where do you hope we see her in the future? Tell me in the comments or tweet to @sithobserver, and may the Force be with you all.